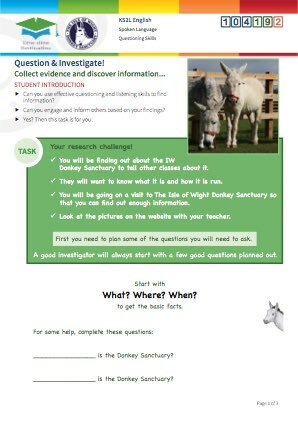 Send us your pictures of students using Education Destination resources at Isle of Wight Donkey Sanctuary and you could be featured here! 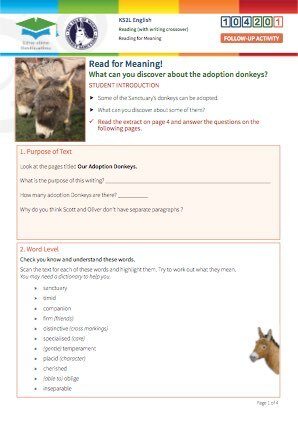 Highlighted the 20 most frequently-occuring key words in relation to Isle of Wight Donkey Sanctuary. 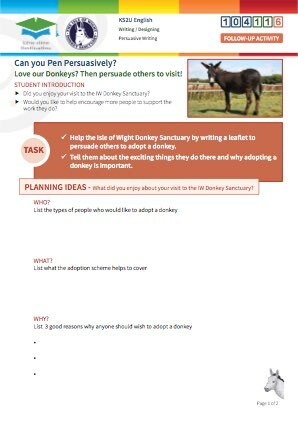 Click to download our handy Introduction Document for Isle of Wight Donkey Sanctuary. 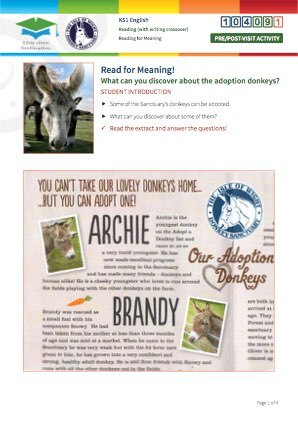 A registered charity providing a secure, peaceful and happy home for around 90 donkeys, 12 horses and a herd of Shetland ponies, which have been neglected, abandoned or are in need of lifetime care. There is coach access to the Donkey Sanctuary, although at first glance some first-time visiting drivers may have some reservations! 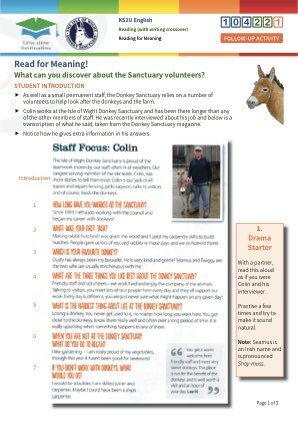 A member of the site staff will be able to advise on the best way to access the site. 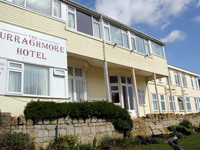 Coach parking is free of charge and is within a very short distance of the sanctuary. There is plenty of free parking available on-site. 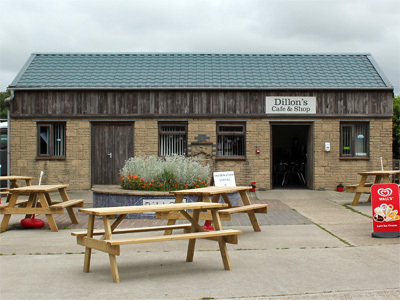 Dillon's cafe sells a range of drinks, snacks and ice creams. Southern Vectis route 3 from Newport or Ventnor, regular service. Plus a 5 minute walk along our long driveway which is speed limited to 10mph. 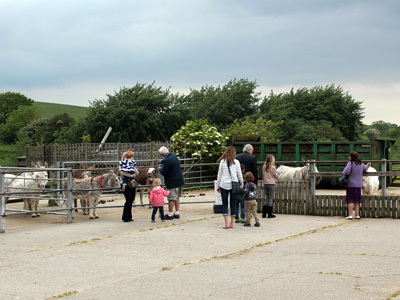 There is a large picnic area available at the Donkey Sanctuary. Dillon's Cafe serves a selection of drinks, snacks and ice creams. 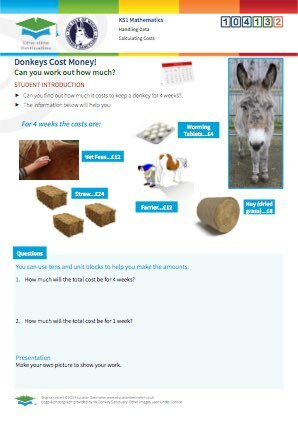 With prior notice, Dillon's Barn can be made available as a classroom space, possibly even with bales of hay instead of chairs! For over 25 years the Sanctuary has been a key tourist attraction on the Isle of Wight, and a vital refuge for neglected and abandoned donkeys from all across the UK. 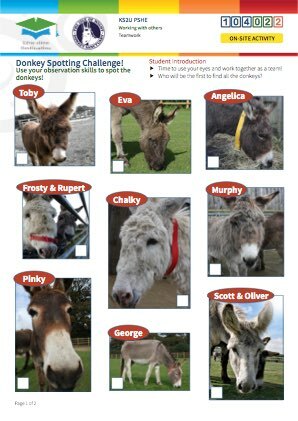 Each donkey is a real character and visiting them is a always a joy for all animal lovers. 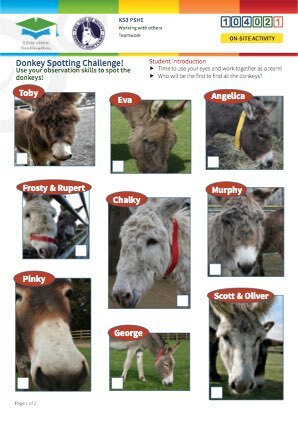 Every donkey has a name, is microchipped and holds a passport! 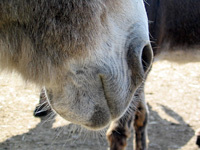 All of the donkeys on display in the paddocks are gentle and happy to receive attention from humans. 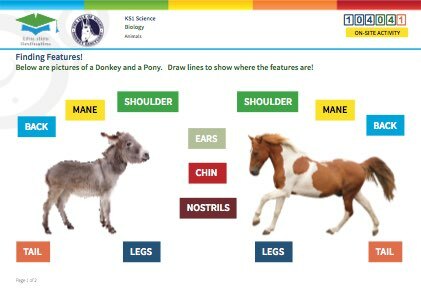 Children love watching their antics and learning how these animals communicate with each other. The scene is always changing - many of the donkeys don't stand around in one place for too long - they enjoy playing, chasing each other, and most of all, rolling around and dust bathing. This type of animal behaviour is completely alien to most first-time visitors, many of whom have never seen more than one or two donkeys before, and is both fascinating and humourous. Children of all ages will have a great time here! 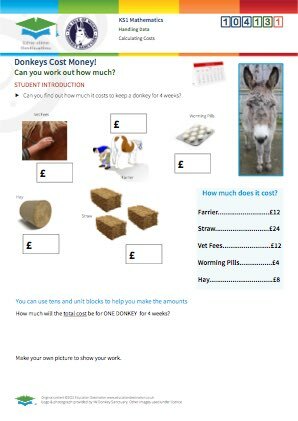 At present there is no education room as such, but a small barn can be made available complete with fresh hay bales to sit on by prior arrangement. Depending on the time of day and weather forecast, the cafe or picnic table area can also be used for study purposes. 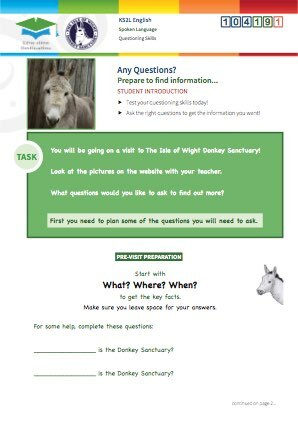 Our qualified and experienced teachers have worked closely with Isle of Wight Donkey Sanctuary to develop a range of high quality curriculum-relevant learning resources and activities to help you and your students get the most out of a visit. 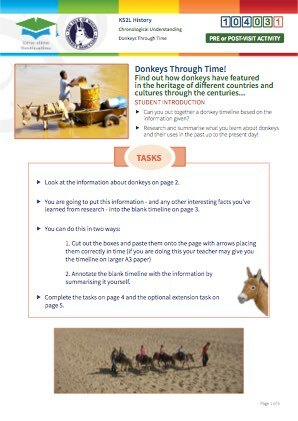 These cover many subjects and age groups, and are a mix of pre-visit, on-site and post-visit activities to support your preferred teaching style. 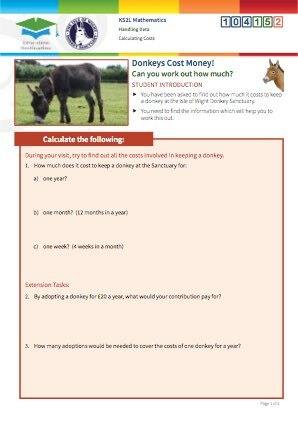 131 L Calculating Donkey Costs! 132 M Calculating Donkey Costs! 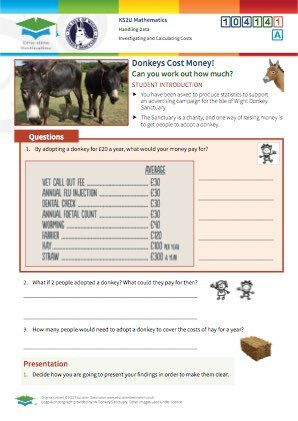 133 H Calculating Donkey Costs! 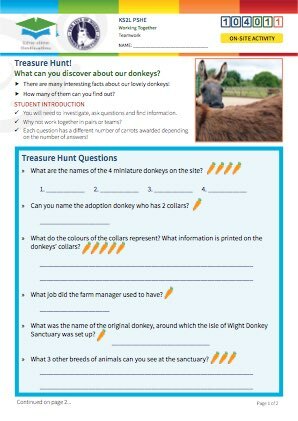 011 X Donkey Sanctuary Treasure Hunt! 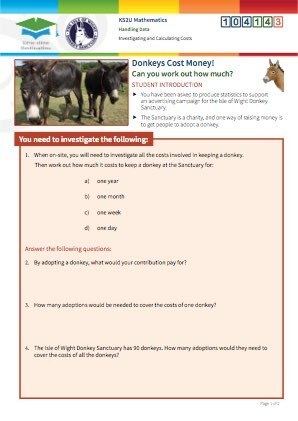 051 L Scores of Donkeys! 052 H Scores of Donkeys! 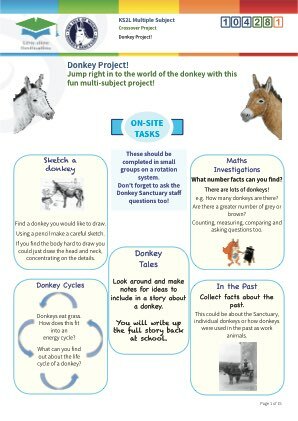 012 X Donkey Sanctuary Treasure Hunt! 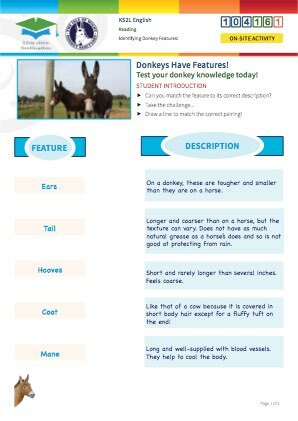 061 L Donkeys Have Character! 062 H Donkeys Have Character! 013 X Donkey Sanctuary Treasure Hunt! Any Questions? Using questioning skills at the Donkey Sanctuary. 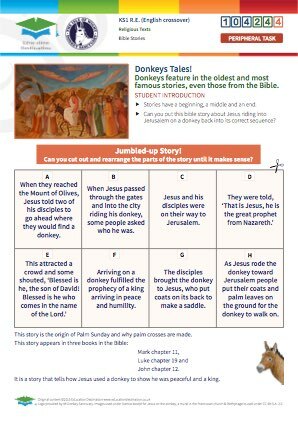 Reading for Meaning - Donkey Tales! 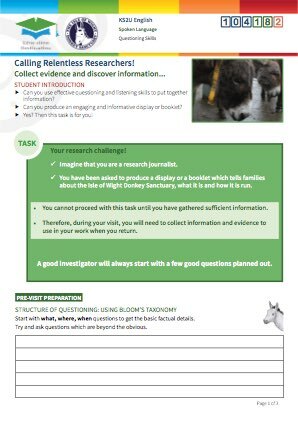 Calling Inquisitive Interviewers! 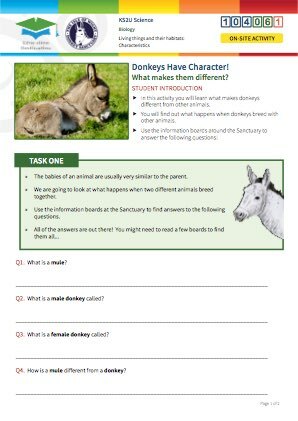 Using questioning skills at the Donkey Sanctuary. Want to see how our resources relate to specific parts of the venue? 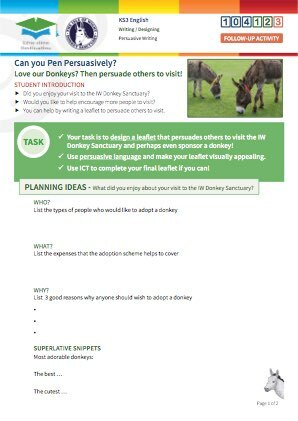 To help you determine whether Isle of Wight Donkey Sanctuary is suitable for your particular students, we've summarised any accessibility issues for you in the section below. 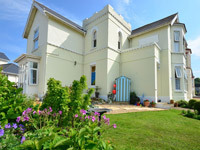 Level access throughout with good wheelchair access. 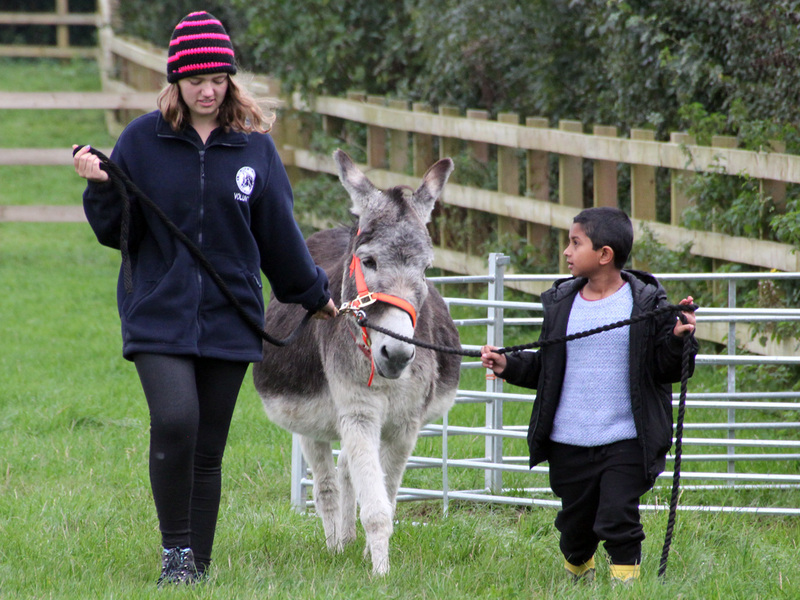 Some walkways are grassed and therefore may be a little bumpy in places, and can be muddy following bad weather. Wheelchair users should have no problem negotiating the walkways if accompanied. 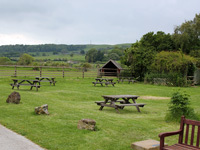 The courtyard, main picnic area and barns are tarmac or concrete. This section helps you identify whether Isle of Wight Donkey Sanctuary has any such restrictions during your preferred visit dates. A typical visit with on-site educational resources takes around 4 hours. 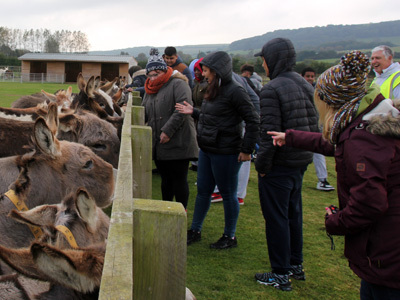 There are sufficient educational activities available to turn this into a whole-day trip, covering a wide range of topics and including some "hands-on" time with the animals. Open February - November. Visits outside these times can be arranged. 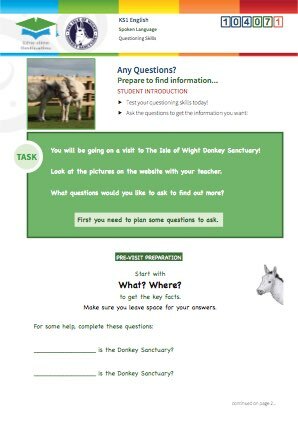 Have a question about Isle of Wight Donkey Sanctuary that's not answered here? 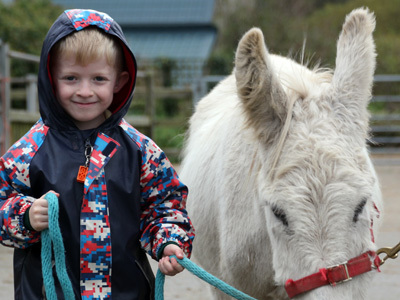 Why not visit Isle of Wight Donkey Sanctuary on a day trip? A fascinating insight into the world of donkeys, ideal for KS1 up to KS3. 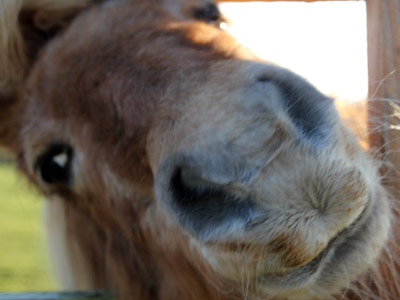 Get up close with these gentle and lovable creatures. Most of the attraction is outdoors, so in poor weather you need to consider appropriate clothing or protection. 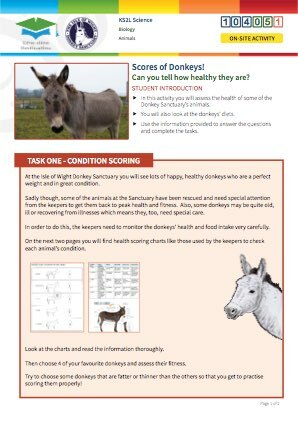 Unlike horses, donkeys are not "waterproof" so in prolonged spells of wet weather most of them will be moved indoors or into shelters - but you'll still be able to get up close. Anti-bacterial handwashing gel should be carried. Whilst the sanctuary has plenty of handwashing and gelling points for whilst you are on-site, it's almost inevitable that you're going to need some once you have left the venue. Our experienced teachers have done most of this work for you. 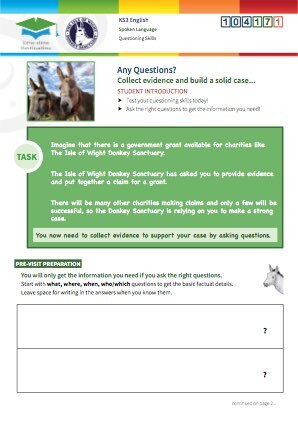 In this section you'll find a sample Risk Assessment covering all of the typical activities undertaken at Isle of Wight Donkey Sanctuary by groups of students, along with a detailed "On The Day" Procedure which sets out everything you need to know about the site before you get there. 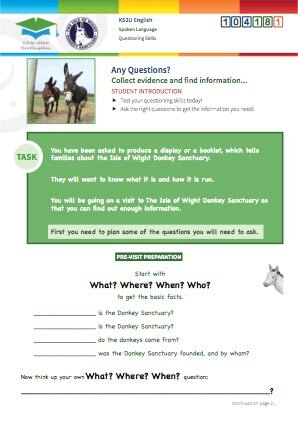 A brief overview of Isle of Wight Donkey Sanctuary prepared especially for teachers. For your convenience this generic risk assessment has been prepared to cover all of the typical activities undertaken at Isle of Wight Donkey Sanctuary. You may use it as the basis for your own documentation. We do not warrant that this is either complete or accurate, and would be happy to help arrange a site pre-visit if required. 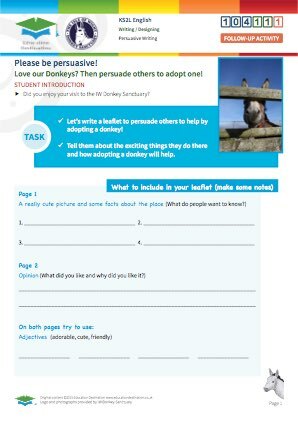 Our handy guide to distribute to your adult supervisors just before arrival. 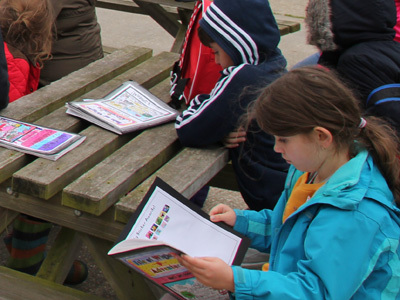 This essential document sets out in summary form everything you need to know about the venue, from a useful site navigation map to the locations of toilets and first aid boxes, lost child procedures, special clothing or equipment requirements etc. 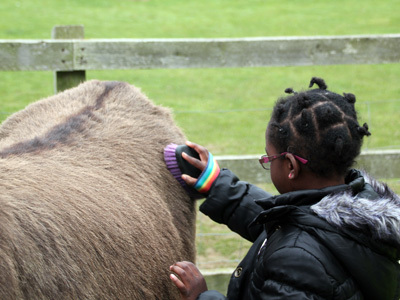 As this is an animal attraction, you should pay particular attention to the risks of infection transfer. 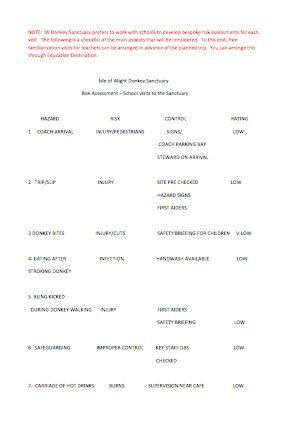 All of our animal venues comply with HSE and DEFRA control measures, guidelines and recommendations. 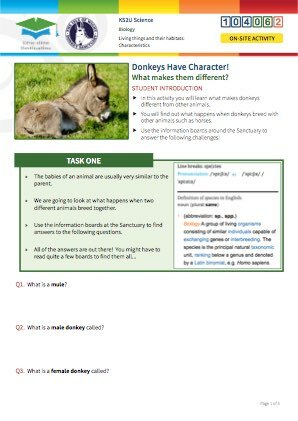 The following documents form part of your risk assessment and briefings to students. 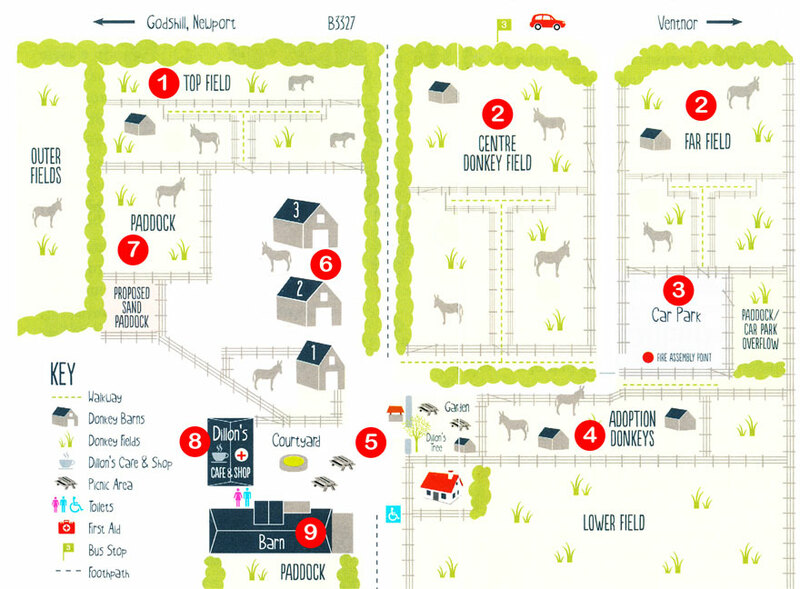 This is an outdoor venue - a farm. There is limited shelter in case of wet weather. If it's just a shower, head for the barns or the coffee/gift shop! There is a cafe on site serving hot and cold drinks, snacks and light meals. 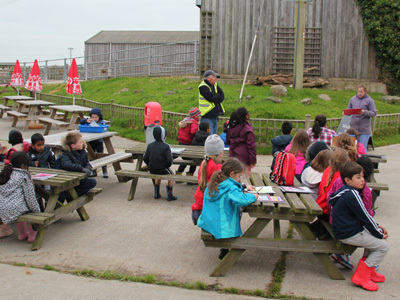 There are plenty of picnic tables for eating a packed lunch. There are picnic benches and seats dotted around the venue, which isn't very large. Tour leaders are responsible for first aid. 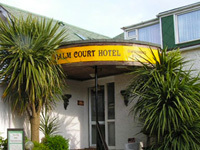 There are toilet facilities available in the main courtyard. Phone reception is generally good. No WiFi. 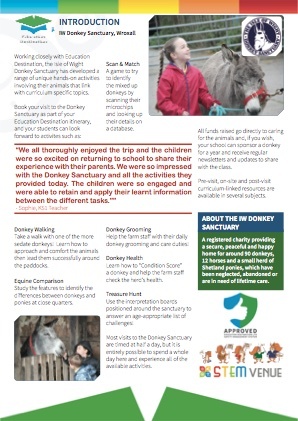 "The donkey sanctuary was an excellent hands on experience for students, they were given tasks to collect customer research and take care of some of the animals. This gave them a responsibility which they were proud of. 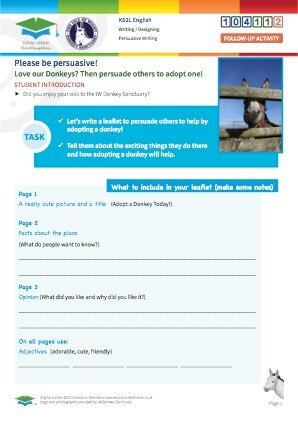 They were able to experience how customer feedback was collected by completing it on behalf of the donkey sanctuary. 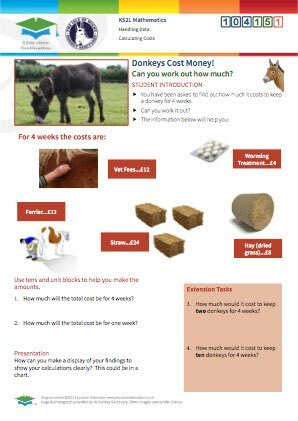 This was an excellent part of the trip and very useful for their coursework. 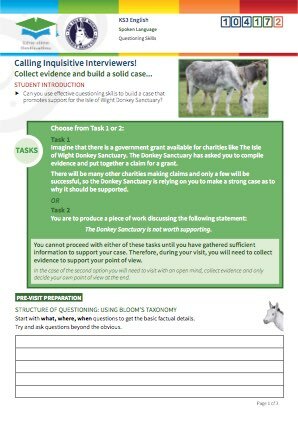 Staff were fantastic and very open with students, this was appreciated." "This was WONDERFUL. The children enjoyed it so much.... as did the adults. 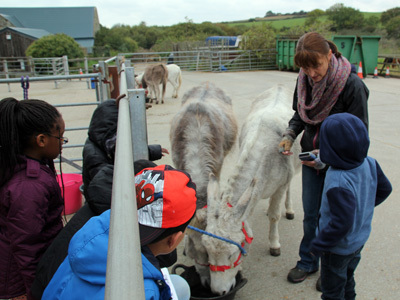 It was perfectly organised and each activity just the right length of time for our children. The pitch was just right too." 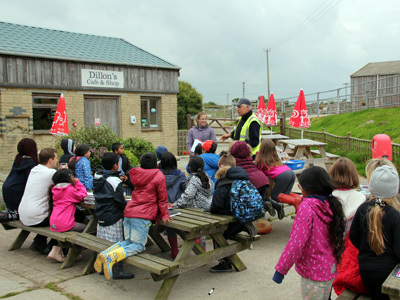 "We all thoroughly enjoyed the trip and the children were so excited on returning to school to share their experience with their parents. 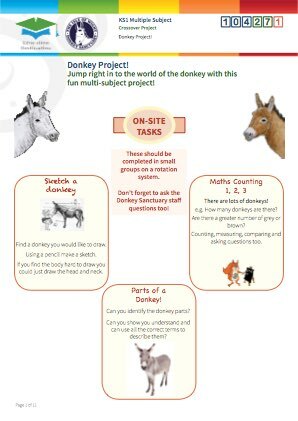 We were so impressed with the Donkey Sanctuary and all the activities they provided today. The children were so engaged and were able to retain and apply their learnt information between the different tasks." "What a kind therapeutic place. Excellent price. If this was in Canterbury I think the school would sign up as members instantly. 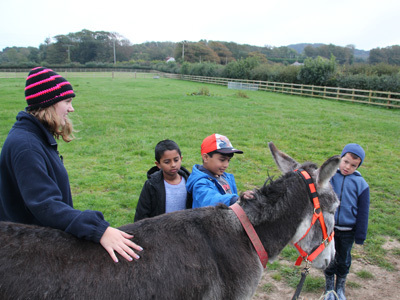 A beautiful place teaching the children about so much more than just donkeys. 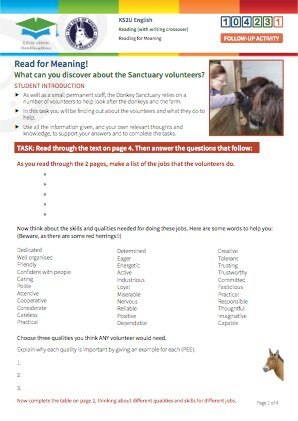 Caring, gentleness, volunteering your time etc. 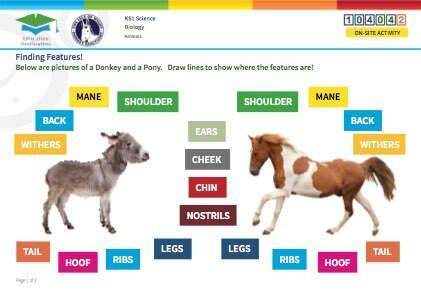 We have looked at donkeys in our science lessons of living things. 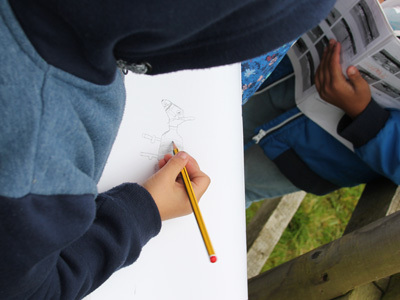 Some of the children were trying to sketch the donkeys as we had been doing still life in art before the trip. The activities led by the adults were very similar to the activities on your website which meant the children were very naturally achieving everything. The sanctuary had clearly put time and effort into liking the resources with the chosen activities. 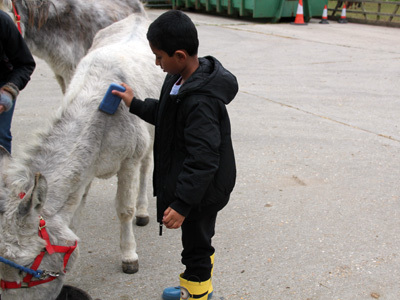 I loved the grooming and the walking- I was surprised that nearly every child's favourite part of the morning was the tagging machine. 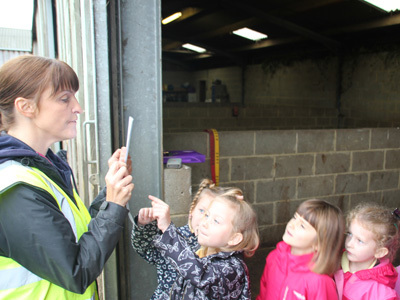 They were fascinated and told the school about it in great detail. 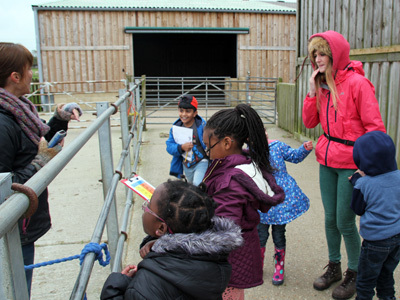 The more competitive children liked the treasure hunt. They all enjoyed the treasure hunt as time to run off independently and without an adult. It was a lovely lovely place. " 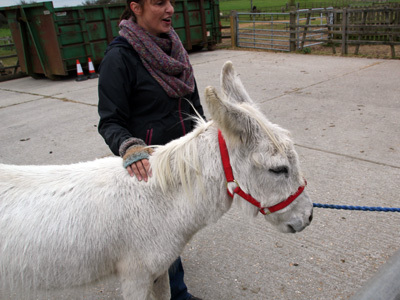 Isle of Wight Donkey Sanctuary is situated between the villages of Godshill and Wroxall close to the towns of Shanklin and Ventnor in the South Eastern part of the Island. 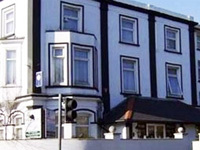 Well served by A roads and public transport, this venue is easy to reach by coach or minibus and there is plenty of free on-site parking.